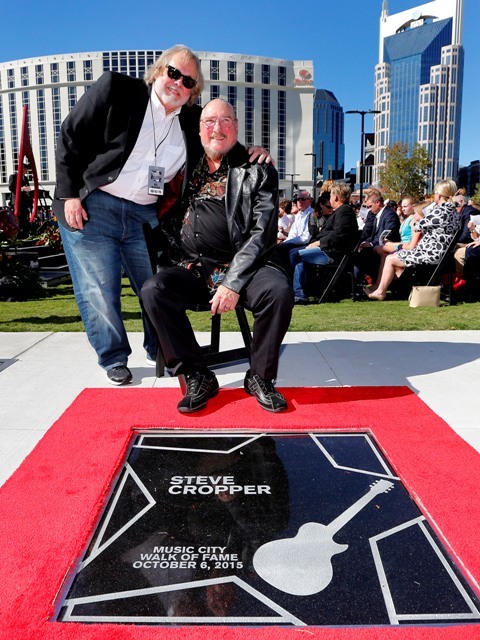 Legendary Stax guitarist and songwriter Steve Cropper was inducted into Nashville’s Walk of Fame in a ceremony in the city yesterday. Steve Cropper inducted into Walk of Fame history is perhaps a long overdue honour given that he co wrote and played on, many of soul music’s classic hits such as Sitting on the Dock of the Bay, Midnight Hour and Knock on Wood.Now a Music City resident, this former Memphis soul artist has long been admired as a major influence in creating the Memphis sound; his work as one of the Stax house band members along with Booker T Jones, Donald Duck Dunn, Isaac Hayes, Al Jackson and horn players Wayne Jackson and Andrew Love were the engine room behind Otis Redding, Sam and Dave and a host of soul artists who owe their success in no small part to these outstanding players. After Stax, Cropper continued to work with blues and soul greats and appeared with John Belushi and Dan Ackroyd as a member of the Blues Brothers Band in both movies and continues touring with the Blues Brothers today. 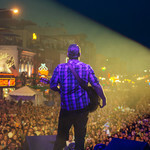 Steve was introduced by Joe Chambers a long time friend and owner of the Musicians Hall of Fame in Nashville, a museum dedicated to the often overlooked session players and their instruments who played on so many classic hits records.